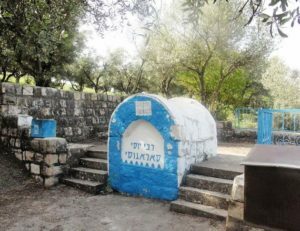 Moshe Eliyahu Levy Yulee (1782-1854) was born in Morocco to a wealthy Sephardic Jewish family. His father was a prominent figure in the Ottoman Empire, and an adviser to the Sultan. Moshe went off on his own across the Atlantic, settling in the US Virgin Islands, and dropping the family name of “Yulee”, now going by Moses Elias Levy. He made his own fortune in the lumber and merchant trades, then moved the whole family to Florida. There, he purchased 100,000 acres of land and established it as a refuge for persecuted European Jews. He also planned for a 50,000 acre “New Jerusalem” in Florida. Levy has been described as a “proto-Zionist”, as he sought to re-establish a Jewish homeland in Israel long before the official Zionist movement began. Though he originally owned slaves, Levy soon joined the anti-slavery movement, and in 1828 published the popular treatise A Plan For the Abolition of Slavery. Levy’s work was instrumental in abolishing slavery in both the United States and across the British Empire. In 1835, Levy’s fortunes soured with the outbreak of the Second Seminole War, which devastated his land in Florida, destroyed the refuge, and strained his finances. In poor health, Levy retired to St. Augustine, Florida, where he slowly rebuilt his wealth. 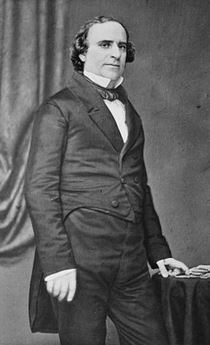 His son, David Levy Yulee (1810-1886) was elected to the House of Representatives in 1841. When Florida became a state in 1845, he became the first Jew in the US Senate. The following year, he married into a prominent Kentucky family, and to do so, had to convert to Christianity. Though he only did this in name at the request of his wife, the move drove a wedge between David and his father, and the two became permanently estranged. After failing to win re-election in 1850, David turned to business, first opening a sugar plantation, and then spearheading the construction of railroads across Florida. Yulee returned to the Senate in 1855, after his father’s death. When the Civil War began, he joined the Confederates, for which he was imprisoned following the war. After being released, Yulee continued his railroad ventures, and went on to be nicknamed the “Father of Florida Railroads”. The town of Yulee and Yulee County in Florida are named after him, and he was selected as one of the “Greatest Floridians” in 2000. You are not as great as you think, and the world is not as bad as it seems. This entry was posted in Business & Finance, Law, Politics & Military and tagged American Jews, British Empire, Civil War, Florida, House of Representatives, Morocco, Ottoman Empire, Philanthropists, Plantation, Proto-Zionist, Railroads, Seminole War, Senate, Senator, Sephardic Jews, Slavery, St. Augustine, Sultan, Virgin Islands, Yulee on September 3, 2014 by Jew of the Week.